The term homeowners insurance is intrinsically misleading because it insinuates that you own your home. Ironically, however, the abbreviated term, "home insurance', is a more appropriate term, because in actuality, this type of insurance doesn't just protect homeowners, but renters as well. It's important to realize however, that having homeowners insurance is mandatory if you own your home, but only option if you're renting it. Still, whether you own a large home or are renting a studio apartment, you should have a comprehensive home insurance policy that will protect your property in case of emergency. But with so many options, packages and price structures, it's often hard to tell which services are critical and which may be optional. Here's a look at the services that should be offered by most reliable home insurance companies and some other services that you may want to pay for depending on your lifestyle and where you live. Whether your home insurance company covers the entire expense of these damages or simply part of it depends on the policy that you've selected. 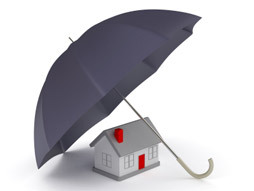 You should, however, make sure that all of these items are included in your basic home insurance policy. 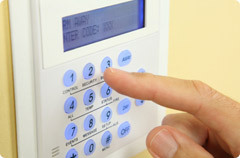 Additionally, you may be able to negotiate for additional basic coverage such as lock replacement (in the event of burglary) or cleanup (in the event of damage) – these services are often excluded in order to save money for the home insurance provider, but can be negotiated seamlessly into the contract, often for free or for a very minimal fee. Flood insurance - Although most weather damage is covered by a basic plan, floods caused by natural disasters are usually excluded, unless you pay for flood insurance separately. This insurance is highly recommended (and may even be required by your mortgage lender) if you live in flood-prone areas or if your house is prone to flooding from excessive rain. You can also investigate whether you're eligible for flood insurance through the National Flood Insurance Program. Content insurance – If you have especially valuable items such as jewelry, electronics, antiques or silverware, you'll probably want to make sure that you'll receive the full value for these items in the event that they are stolen or damaged by an unexpected disaster. To benefit from this form of homeowners insurance you'll need to assess the true value of the items in your home (or have an appraiser come to help) – under-assessing your property can prevent you from receiving the full value of your most valuable items. Accidental damage insurance – This policy is specifically useful if you have young children as it will cover the cost of repairs for damages such as spills on carpets, broken furniture or ruined electronics. You may also be able to include this type of coverage in your content insurance, depending on which home insurance company you choose. Choosing the right home insurance policy requires proper research and an honest evaluation of your needs both in the present and in the future. Although it's impossible to predict accidents or devastating acts of nature it's better to prepare yourself for the possibility so that just in case devastation occurs you won't be forced to pay out of pocket.